Home » Blog » Internet Marketing » What is a Business Review Site? The internet is more and more becoming quite the competitive place, making reviews all that much more important to a business. Review Sites are thus quickly becoming quite the trend as these sites are more and more being accepted by the buying community, which means that those who like to inform others of their buying experiences are now being read by more people than ever before. Business review sites provide the ability for your customers to become more informed about your business and give you the opportunity to showcase happy customers. 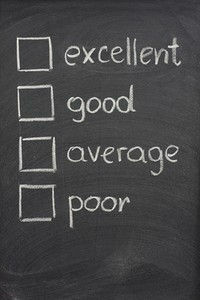 Now, more than ever, it’s important to take care of the customer so you can get these great business reviews. In a nutshell, a Review Site is a website that people can go to and submit their individual opinion about a particular website, service, product, and/or business. What Exactly is a Review Site? Similar to a local directory, a Review Site lets users voice their own, personal opinions about a particular business. For instance, say you are looking to buy some new computer software – simply find and click on the appropriate category and all available matches showing where you can buy computer software, as well as consumer reviews about the product and/or business will come up for you to evaluate. Review Sites are here to stay. If you find that your business is the unfortunate recipient of some Negative Site Reviews, know that there are a few things you can do. 1. Preparation. Create an account for all the Review Sites that your business is listed in and that you deem to be pertinent to your particular website. Next, you’ll need to visit each Review Site in order to build up your business’ profile so it represents your business well, which means keeping it updated and making it look as professional as possible. Now you are ready to take the bull by the horns and start addressing any and all reviews written about your business. Remember to use your professionalism in order to reply in a way that will help the business succeed. 2. Alerts. Set up a Google Alert in order to monitor any and all information related to your business. Know that there are going to be some Review Sites that are created under false pretenses. This means that these sites are not deemed to credible for one reason or another, such as in sites that are set up by the product manufacturer, which are obviously biased. There are many legitimate Review Sites out there, so be sure to do your homework in order to be fully aware of all the best and most pertinent Review Sites that your business just may show up on.